An interrogation of the legal history of one of Australia and New Zealands most revered words – 'Anzac' – and the restrictions on the acronym that still exist today. ANZAC! In April – a name unformed, undetermined; June – and the worth of a Nation and Dominion proved by the five letters – bound together, by the young army’s leader, Lieut.-General Sir W. Birdwood, in the inspired ‘Anzac’ – Australian, New Zealand Army Corps. The year 2016 marks an ‘Anzac’ anniversary of a different kind: the centenary of legal regulation over use of the term ‘Anzac’ in Australia and internationally. In Anzac: The Landing, The Legend, The Law, Catherine Bond interrogates the legal history of one of Australia and New Zealand’s most revered words and the restrictions on the acronym that still exist today. 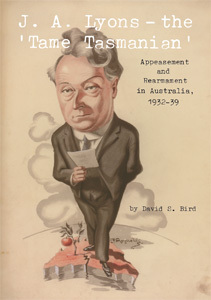 This book examines how, in 1916, control of ‘Anzac’ was introduced initially for businesses then extended, without precedent, to more private spheres, including prohibiting the use of the word as the name of a home. It documents the effect that these laws had on the Australian home front and the devastating impact on soldiers and families. Yet, such use and regulation was not limited to Australia, with New Zealand, United Kingdom and United States authorities also grappling with how to respond to the increased adoption of ‘Anzac’ within their borders. Bond explores these issues and how this legal history can be used to inform the restrictions on ‘Anzac’ that remain in force in Australia to this day. Anzac: The Landing, The Legend, The Law will appeal to all readers with an interest in law or history, and those keen to understand more about a forgotten aspect of the ‘Anzac’ legend.